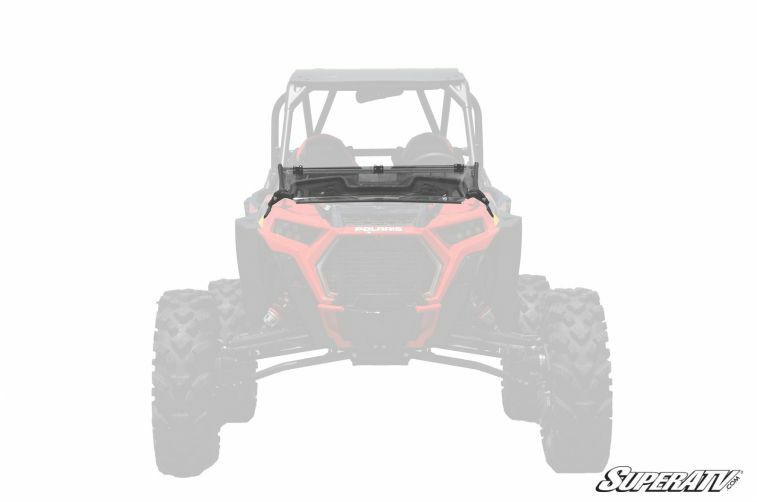 SuperATV’s Flip Down Windshield for the Polaris RZR XP Turbo S changes the way you ride. 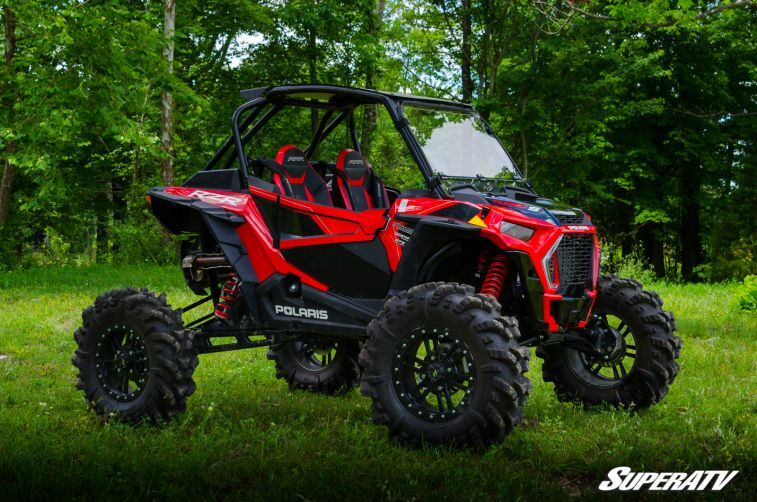 The ultimate versatility of this windshield means it’s really two windshields in one, and whether you’re in rain, snow, or sun, you always get the perfect amount of protection and airflow. 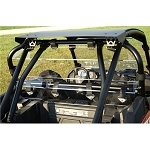 It’s made of indestructible 1/4” polycarbonate and is precision cut to match the contours, of your Turbo S hood for a rattle-free fit. 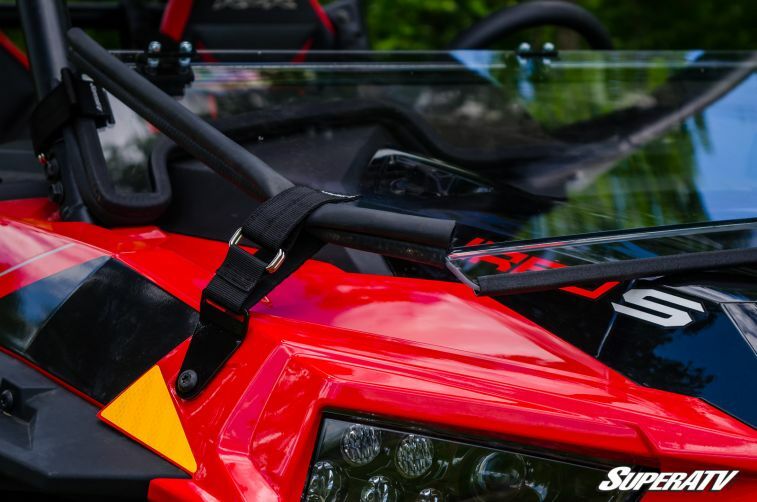 SuperATV knows the importance of a quick upgrade, that’s why our fold down comes with the hinge already installed and requires minimal effort to attach to your UTV. 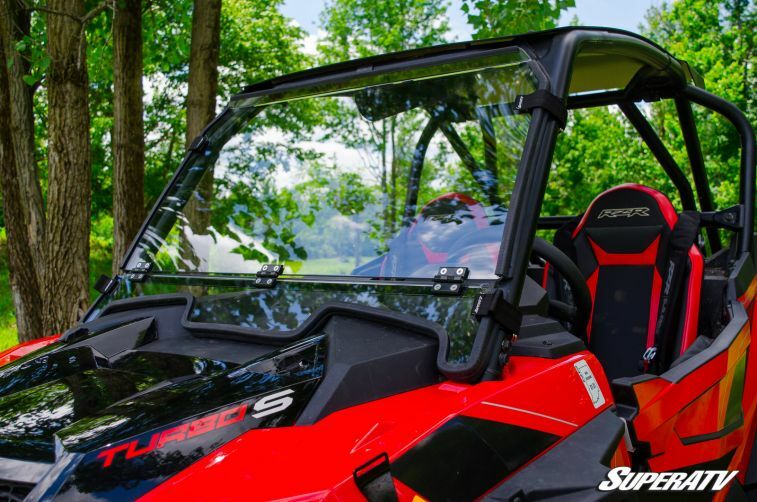 Now you’re ready to ride with the wind through your hair when the sun’s out or flip it up when it starts to drizzle. 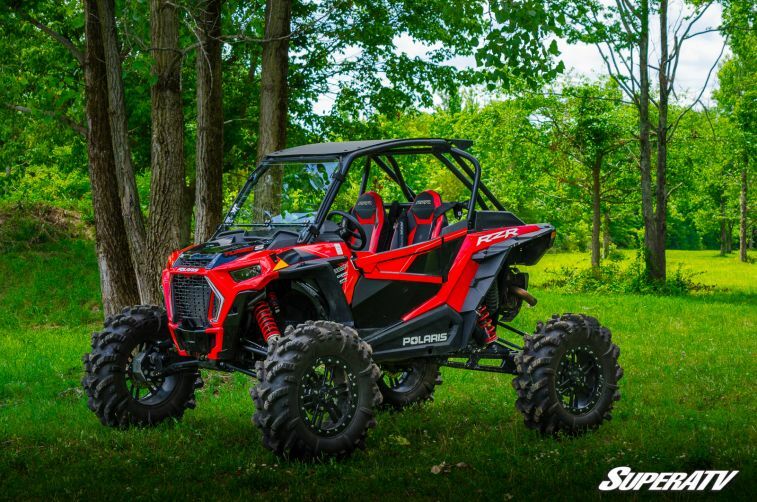 Ride your way any day. 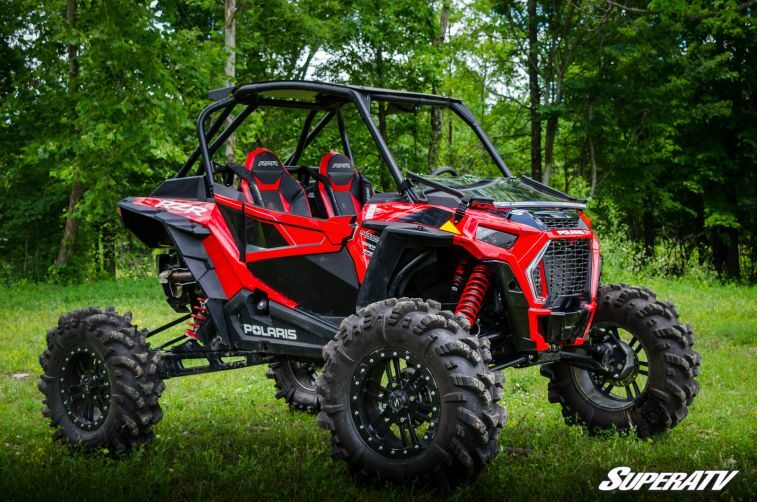 Our scratch resistant polycarbonate is hard coated on both sides to make sure it can take hits from rocks, branches, and bushes without turning into a streaky mess. It has perfect clarity, superb strength, and amazing abrasion resistance. It’s the complete package. 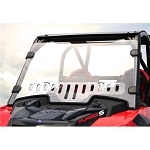 This windshield is also available in a standard polycarbonate material, but just because it doesn’t have a hard coating doesn’t mean it’s weak. Our standard polycarbonate is 250 times stronger than glass so no matter what you throw at it, you’ll never break it. 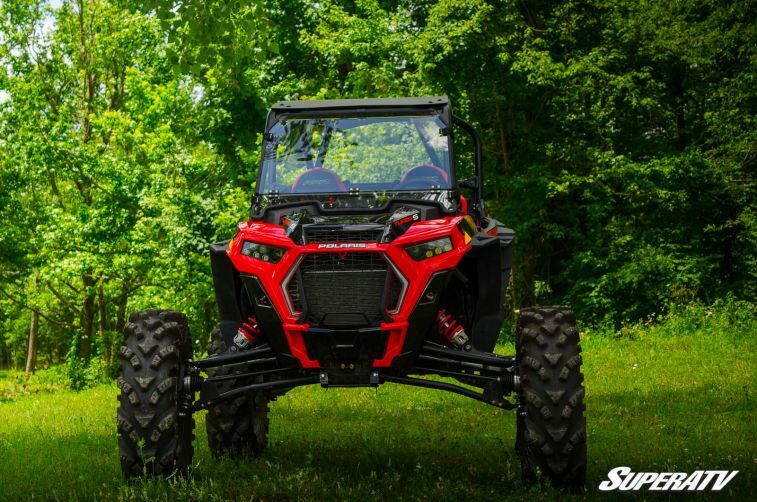 Proudly manufactured in our facility in Madison, Indiana. 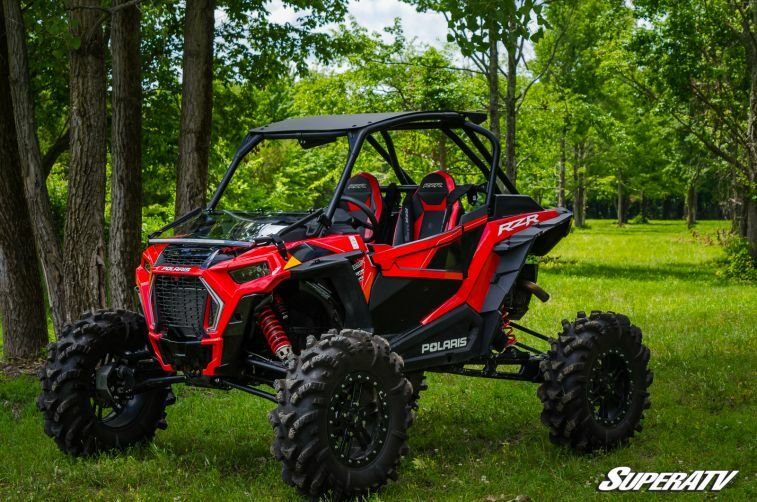 In this video Braden shows you just how easy it is to install SuperATV’s Flip Down Windshield for the Polaris RZR XP Turbo S. Easy installation is in the design — we send you this windshield preassembled, so you spend less time installing and more time riding. 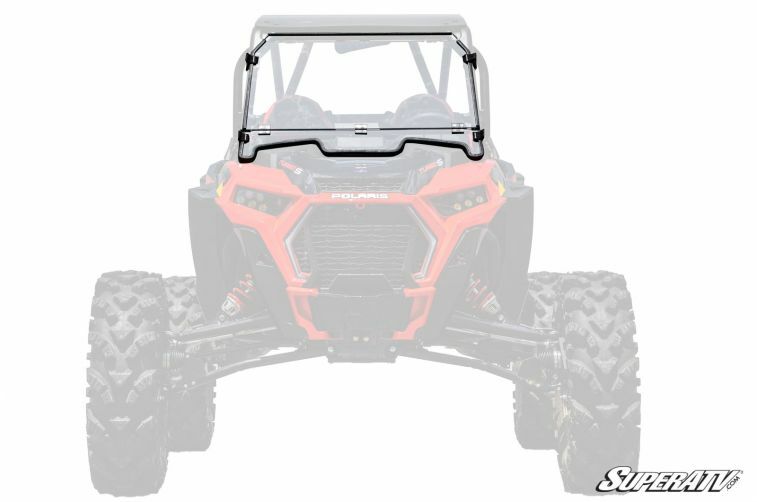 Whether you call it flip down, fold down, or something else, this unbreakable polycarbonate windshield is really two windshields in one. 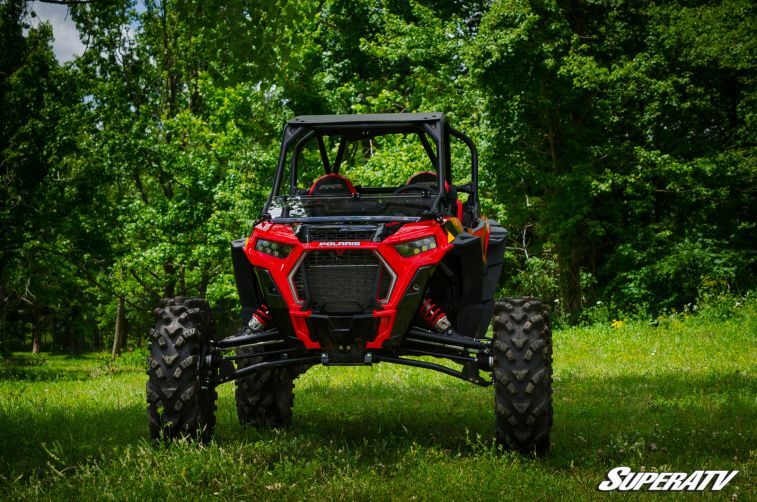 This is one UTV windshield you can’t live without.